Today I started sanding the seam of the fuselage. I started with some 215 grit paper and moved onto 400 before finishing up with some 600. I used the wet-sanding method to help prevent any additional scratches, and it seemed to work well. I won’t know for sure until I prime. 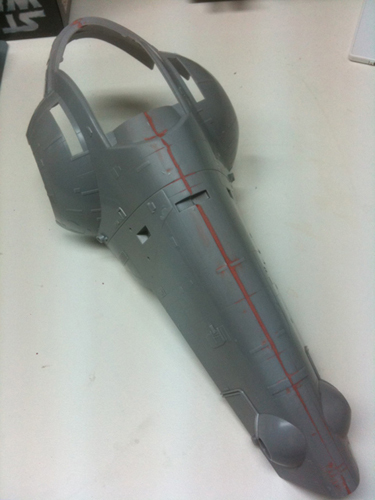 Next, I’ll need to restore some of the panel lines that were puttied over.